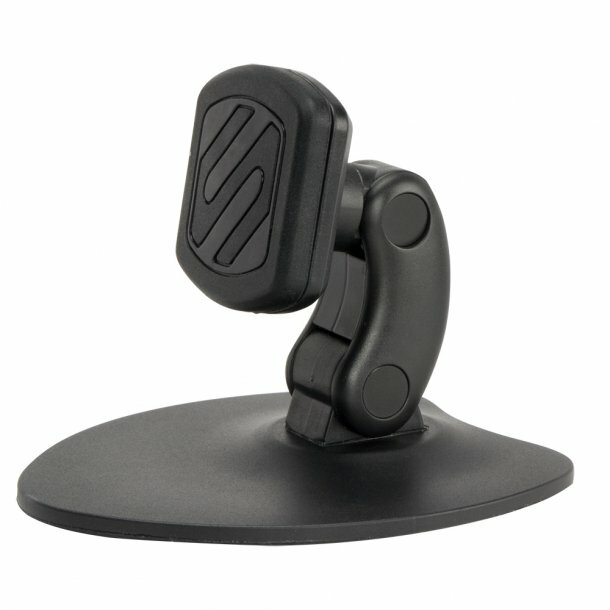 MagicMount™ is a new magnetic mounting system for conveniently mounting GPS, smartphones and more. Just hover your device near the magnetic surface and it instantly locks securely in place. Its sleek cradle-free design uses high-powered magnets to secure your device where you use them most. Place your device at any angle for convenient viewing. This desk phone holder is versatile and portable. MagicMount works with virtually any device including, smartphones, tablets up to 8", GPS units, flip phones and more.